Travel will be difficult this evening across the Finger Lakes and is discouraged if avoidable. 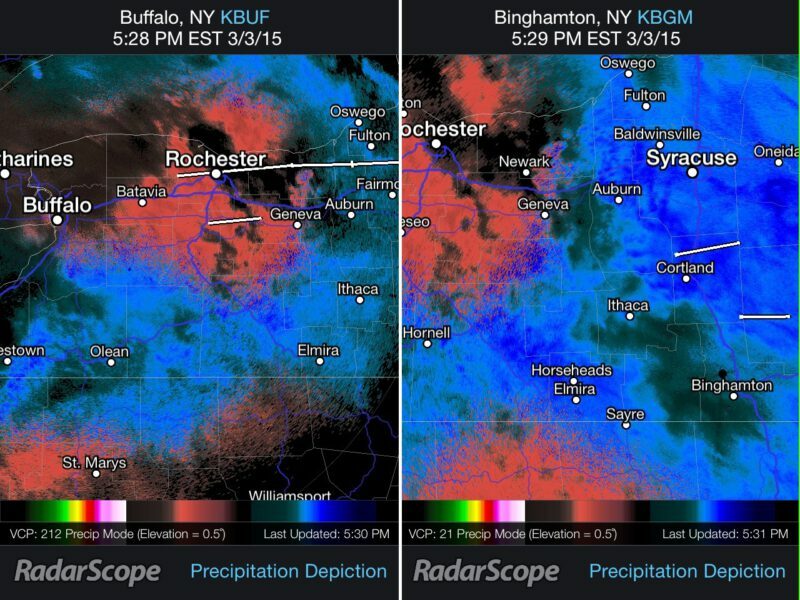 Snow and sleet are widespread across the Finger Lakes and will continue into the evening hours. Road conditions are already very poor and will not significantly improve until the precipitation moves out and temperatures climb above freezing. This should happen overnight, so tomorrow morning’s commute should not be too difficult. 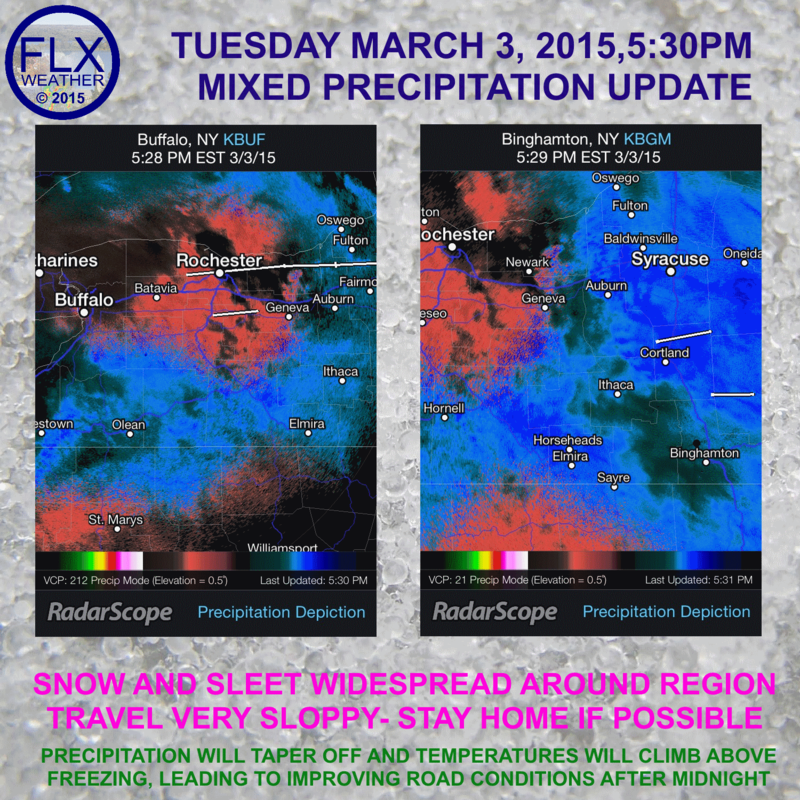 Please send me your precipitation, temperature and road conditions reports either in the comments here or on Facebook or Twitter @FLX_Weather! Please also vote for Finger Lakes Weather in the Small Business Grant contest from FedEx! Your support is greatly appreciated! VOTE HERE.